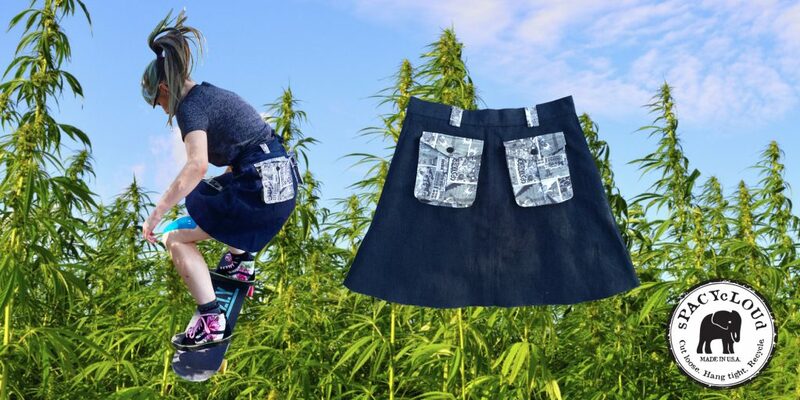 What do hemp, skateboarding, and fashion all have in common? They’re all part of an underground movement in DC that is slowly growing, and doing good things for the community as it grows. 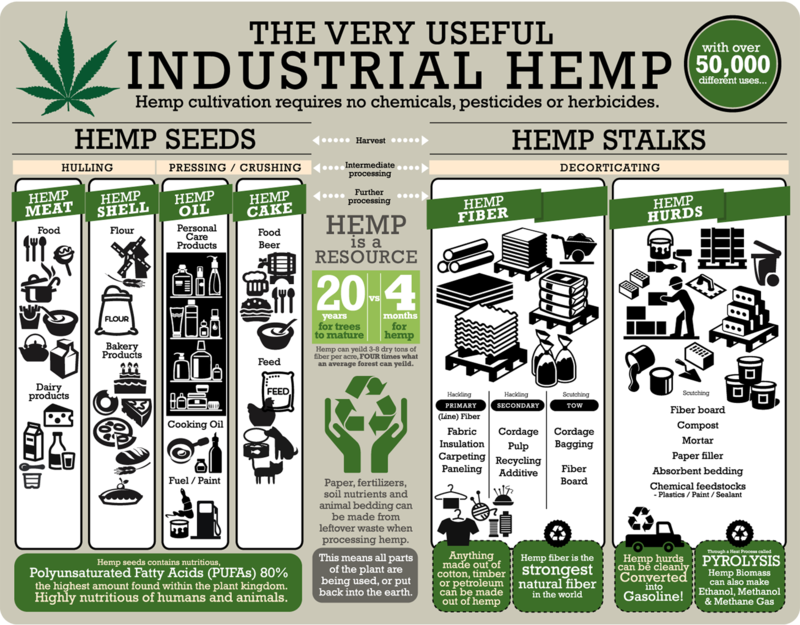 So we all know DC legalized marijuana, but have you stopped to think about hemp for a minute? 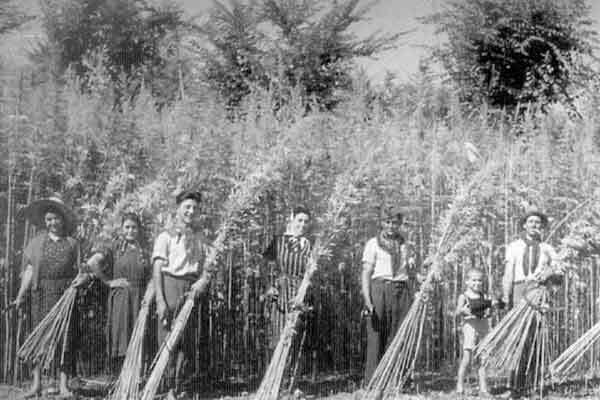 Hemp has a fascinating history in the US – it was popular for a number of industrial uses in the early 1900s, during World War II the USDA even ran a campaign called, “Hemp for Victory” that was aimed at increasing hemp production. However, not long after the war, hemp became associated with marijuana and banned during the war on drugs. 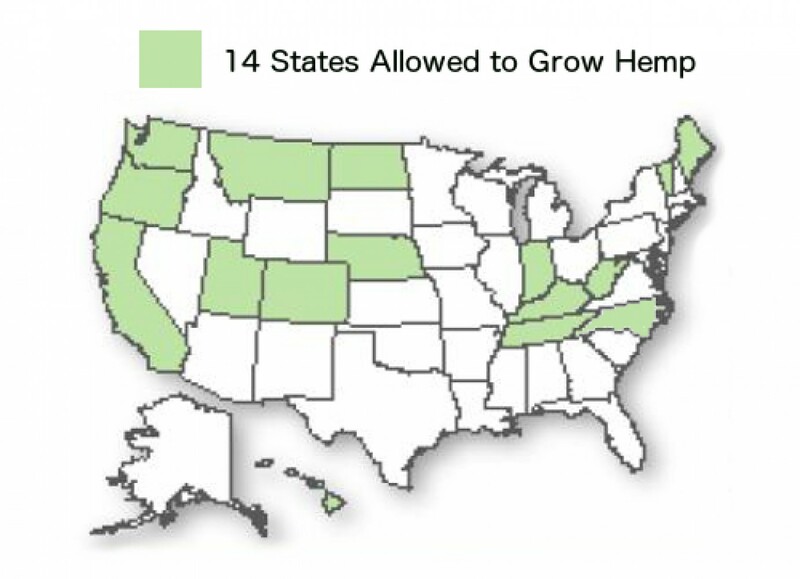 It only recently became legal to grow again in some states and under certain circumstances in 2014. Suffice it to say that hemp has gotten a bad rap, which is too bad given some of its awesome properties. For the eco-conscious, there are a lot of reasons to get behind hemp — it’s sustainable to grow, natural to wear, and requires less resources to produce than synthetic materials. And if you don’t care much about the eco arguments for wearing hemp, there are so many fashion reasons to do so. It’s strong, durable, and softer than you’d think. While some may think that detangling hemp from its relationship with weed could be a good thing for the hemp growing and weaving industry, with the legalization of marijuana in DC and now five more states, plenty of people are highlighting the relationship and bringing hemp along for the ride in the marijuana revolution. Which may not be a bad thing. There are a ton of people in DC doing awesome stuff with hemp — from those advocating for legislative changes to those making onesies with it, there are plenty of ways to learn more about hemp and up your fashion cred too. Take for example Tati Kolina, the creative mind behind the sPACYcLOUd, female owned clothing company based in Washington DC. IT manager by day, designer by night, she is hugely passionate about creating cool, original, eco-friendly fashion. She recently filled me in on why hemp is such a big part of her vision. Tati loves hemp for its sustainability and wearability — it is one of the most durable natural fibers used for textiles. And it’s great for active fashionistas who want their clothes to be able to withstand wear and tear because it holds its shape and lasts longer than most other fabrics. The ruggedness of hemp, plus the fact that it’s biodegradable, should appeal to hipsters and hippies alike. At sPACYcLOUd, Tati has embraced the values of the hemp community by creating a collection of Hemp hoodies which will be launched in October 2017. While she still has to use imported hemp, Tati will manufacture hemp apparel in the US at a factory which she found through Maker’s Row and follow sustainable practices. 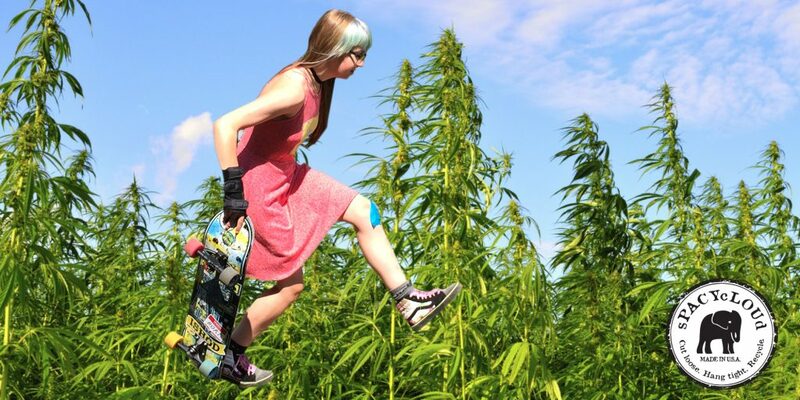 A big presence in DC’s skater community, Tati quickly noted the hemp community’s growth and saw a strong connection in values and mentality between the hemp community and the skateboarding community. And she’s not the only one — people across the globe who are both committed to sustainability and the sport of skateboarding are connecting the worlds of hemp and skating. Last year an entrepreneur was using 3D printing to make hemp skateboards, and a clothing company sponsored the building of a half pipe in Australia’s largest hemp field. Both industries are community-focused and have built their base through grassroots action and word of mouth. For instance, in DC there’s a skate community out there full of people who are keen on shredding, but also very involved in their community. 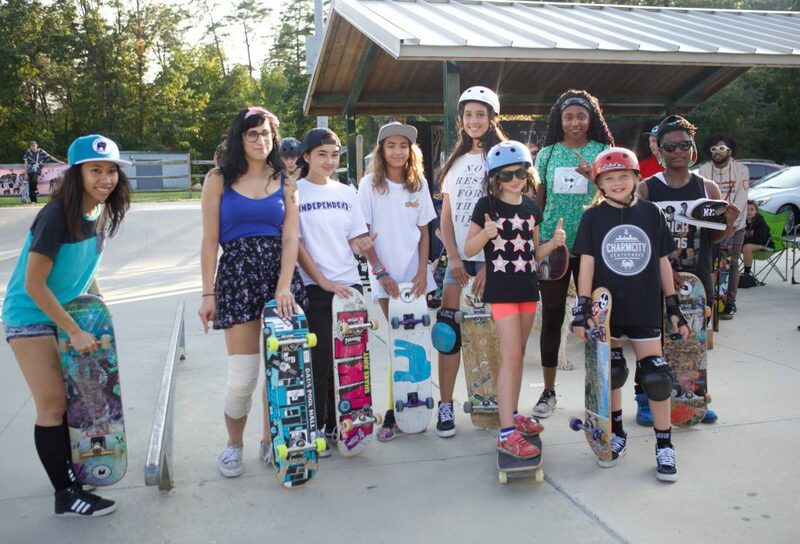 In 2014, Tati started the organization Skate Girls Tribe (SGT) for girls in the DC area looking to try skateboarding. As a male dominated sport, skateboarding can be intimidating to girls. The awesome thing about SGT is that it provides girls with an open environment in which to skate — from beginners to competitors — and it also gives them a community in which they have a forum to talk about the social and personal issues that they face — from what it’s like being girls in the skating community to challenges they may face in school and at home. There’s a growing interest in DC to support ventures like SGT. The Kennedy Center hosted a multi-day festival last year called, “Finding a Line: Skateboarding, Music, and Media”, which focused on highlighting the positives of the skating community, “because there’s such a long tradition of skaters being criminalized and pushed out by security and police”, and the Kennedy Center wanted to be vocal about their support for the community. SGT even hosted one day of the festival, which focused on women skateboarders. The hemp and skate communities in DC are both still so small that there’s definitely an “everyone knows everyone” kind of feel that is comforting to a newcomer. They’re welcoming communities that are focused on bettering the lives of the people they connect with. In sum, lots of people out there are doing awesome stuff with hemp. Not to mention there are a number of communities in DC that are all interconnected, such as the skate community and the hemp community, which are doing something in their own way to give a voice to the voiceless, give greater access to fun, affordable activities, and support small businesses that are focused on bettering the environment.